"Indulge in Oregon's Best Pinot Noirs from Domaine Serene"
$5.00 of the tasting fee will be credited back towards a purchase of any DOMAINE SERENE wines! Domaine Serene is the #22 most popular Restaurant brand in the country and the #2 brand from Oregon! Domaine Serene “Yamhill Cuvée” is the TOP RANKING Oregon wine by the glass! (17th Overall) and the 3rd most popular Pinot Noir by the glass. 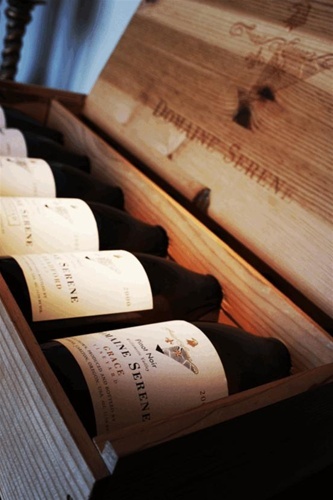 Domaine Serene's "Eventstad Reserve" is consistently a "Year's Best Pinot Noir"